iGRIND4REAL: #CelebNews Waka Flocka Cancels U. Of Oklahoma Concert After Racist SAE Frat Song Goes Viral! 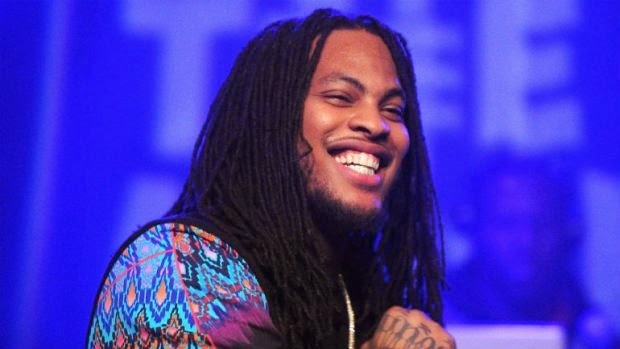 #CelebNews Waka Flocka Cancels U. Of Oklahoma Concert After Racist SAE Frat Song Goes Viral! Not even rapper Waka Flocka could stand the blunt racism that has been taking place across the nation. Waka has had enough and is canceling shows to prove it! 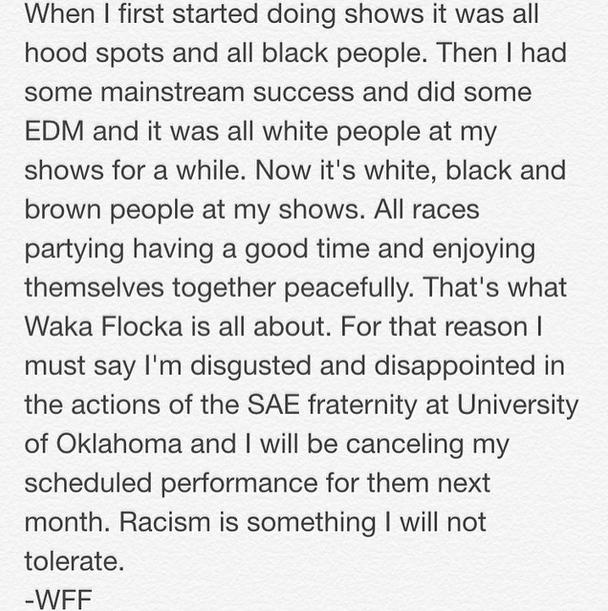 Via HipHopWired: Waka Flocka Flame isn’t here for the racism members of the SAE fraternity joyously chanted.The Atlanta rapper has cancelled a scheduled concert at the University of Oklahoma, where said fraternity has been suspended. 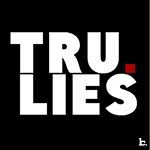 Waka issued a statement via Instagram that explained his reasoning. “I must say I’m disgusted and disappointed in the actions of the SAE fraternity at University of Oklahoma and I will be canceling my scheduled performance for them next month,” read part of his statement. Salute to Waka Flocka Flame. How many other rappers would have passed up on that check? Read his full statement below.